The University of Arizona Center for Integrative Medicine (UACIM) has created and is the Provider of a variety of programs of Integrative Health online curriculum. (Curriculum) Use of this curriculum and its contents by the Participant is subject to the following Terms and Conditions. 1. Copyright and Other Protections. The content is copyrighted by the Arizona Center for Integrative Medicine, the University of Arizona, and the University of Arizona Board of Regents. All content in the program and research done by the Provider is the Intellectual Property of the Provider and is protected by US copyright law (Title 17, US Code). All restrictions apply regarding duplication of the material, including video, audio, text, images, and other content, in any format. 2. Use of the Site and Contents. You may only make noncommercial uses of the site and the content. Course videos and audio files are for educational use, and may be downloaded where a downloading option is available. You may display or distribute those course videos or audio to students as part of your own teaching activities. In no event may you alter or modify the videos or other content, including, without limitation, by adding any advertisement or other material or by interfering with the viewing of any content. 3. Participant agrees to cite Provider in any reference to the outcomes and/or utilization of the curriculum in any publications, promotions/presentations. Participant may be asked to share non-confidential educational outcome data from its initiative with Provider. 4. Coordinator functions and use of data and reports. The curriculum has built in coordinator and administrator functions. Requests for new functionality or data management by the Provider may result in additional costs. Participants may access existing features on the site like dashboards and reports at any time. Requests for new reports, customized data or new views of data will be considered a distinct project and billed on a time and materials basis. 5. Fees and Payment. Participant agrees to pay an annual fee as specified on the website and invoices. a. Invoices will be available on the UACIM/NCIPH website and accessible to the Participant’s invoice delegate. b. Payment by Participant shall be made within thirty (30) days of invoice. 6. Termination. Provider may terminate access upon thirty (30) days written notice to Participant, if funding for providing services is no longer available; or performance of the services is substantially completed; or if circumstances beyond its control preclude continuation of the curriculum. Participant may end access upon ninety (90) days written notice to Provider, if circumstances beyond its control preclude continuation of the Curriculum Participant shall pay for all services rendered until the end of access. The curriculum is accessible until it is terminated by either party. 8. Links to other sites. Links on the site to third-party web sites are provided solely as a convenience. We do not approve or endorse the content of linked third-party sites, and you agree that we will have no responsibility or liability in connection with your use of any linked third-party sites. 9. Proprietary Rights. Nothing in these Terms and Conditions will be construed as granting you any right or license to use any logos, trademarks, service marks, or graphics displayed on the site. You agree not to use or register any name, logo, or insignia of the University of Arizona Center for Integrative Medicine for any purpose except with our prior written approval and in accordance with any restrictions required by us. 10. 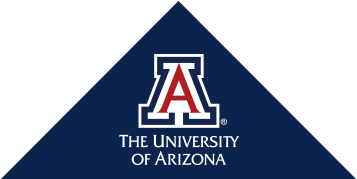 Electronic Privacy: The University of Arizona (UA) provides online information and services to students, employees, and the public to supplement services provided on campus. This privacy statement provides information required by Arizona law (A.R.S. § 41-4152) about privacy, confidentiality, and related policies for individuals who use our official websites and other electronic services. Individual websites may provide additional information about privacy. This statement applies to all information collected by or submitted to UA. It is not to be construed as a contractual promise. UA encourages its colleges, schools, departments, divisions, and other units contributing to its official webpages to provide specific notices about the collection and use of any personal information associated with those pages. This information is therefore general, and we encourage you to read webpage-specific notices to ensure that you understand precisely the applicable privacy policies and practices. 11. Security – In addition to the University of Arizona security policy, UACIM websites also conform with the PCI Security Council standards for account data protection. These Terms and Conditions are complete for this program and there are no other promises, either express or implied.